Four members of the San Diego City Council are proposing that the Qualcomm Stadium site be leased to the Chargers for $1 per year in “one last concerted effort” to keep the team in San Diego. The proposal by council President Myrtle Cole and council members Chris Cate, Scott Sherman and Lorie Zapf was made in a letter sent to Chargers Chairman Dean Spanos, with copies to National Football League Commissioner Roger Goodell and other team owners. Spanos has been calling for a new playing facility for his team for more than 15 years. Last month, voters rejected increasing the city’s hotel room tax to partially fund a downtown stadium project. The result for Measure C has raised speculation that the Chargers would exercise an option to become the second franchise in Los Angeles along with the Rams. Spanos has said he will wait until after the football season to decide the team’s next steps. 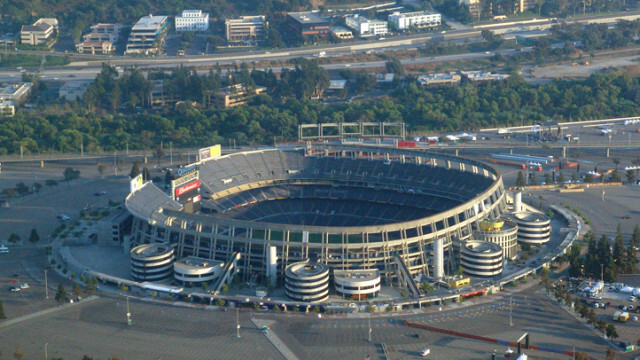 He and stadium counsel Fred Maas have met with Mayor Kevin Faulconer recently. “The hour is late, and the time to find a stadium solution is getting dangerously short,” the undated letter from the council members begins. The Chargers could create “an NFL experience” on the site in collaboration with the league and San Diego State University, according to the letter made public Tuesday. “Before leaving 60 years of tradition and loyal fans, let’s give one last concerted effort to come to the table and hammer this out face to face, working together toward a common goal of keeping the NFL in America’s Finest City,” the council members wrote. Faulconer called it “a positive development” that council members who opposed Measure C are interested in engaging with the team. He said a package can still be put together that makes sense, but acknowledged the timeline is short, given that the Chargers’ season ends on New Year’s Day. Cate said the letter provides a starting point for future conversations. While the low-cost lease could be seen as a giveaway to a billionaire NFL owner, Cate said there’s value to keeping the team in San Diego and developing the 166-acre property. The plan leaves minimal to no risk to the city in terms of issuing bonds or other construction debt. The Mission Valley project could also leave room for San Diego State University expansion and parkland alongside the San Diego River, according to Faulconer and Cate.